Gauhati High Court recruitment 2017 notification has been released on official website www.ghconline.gov.in for the recruitment of total 14 (fourteen) jobs out of which 02 (two) vacancies for Stenographer (Grade – II & III), 05 (five) for Attender & Various Vacancies. Job seekers should apply on or before 10th December 2017. 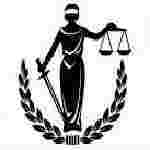 Here on this page you will get the details like the Name of vacancies released by Gauhati High Court with exact number of posts. Some other criteria like Education details, application fee and way to apply application for Gauhati High Court recruitment 2017. Educational Qualification: Graduate in Computer knowledge and shorthand of 100/80 wpm and computer typing speed of 40 wpm for S.no-1. Minimum 08th Standard pass but shall not be graduate for S.no – 2. Fee charges: Applicants who wanted to participate for Gauhati High Court should pay the below charges through Indian Postal Order payable to Judicial Academy, Assam at Guwahati. Interested and eligible aspirants should apply in prescribed application form along with self-attested copies of all relevant documents & passport size photograph send to the Office of the Judicial Academy, Assam, 7, Bholanath Mandir Path, Dr. Kakoti Road, Ulubari, Guwahati – 781007 on or before 10.12.2017.